a predilection for sour? 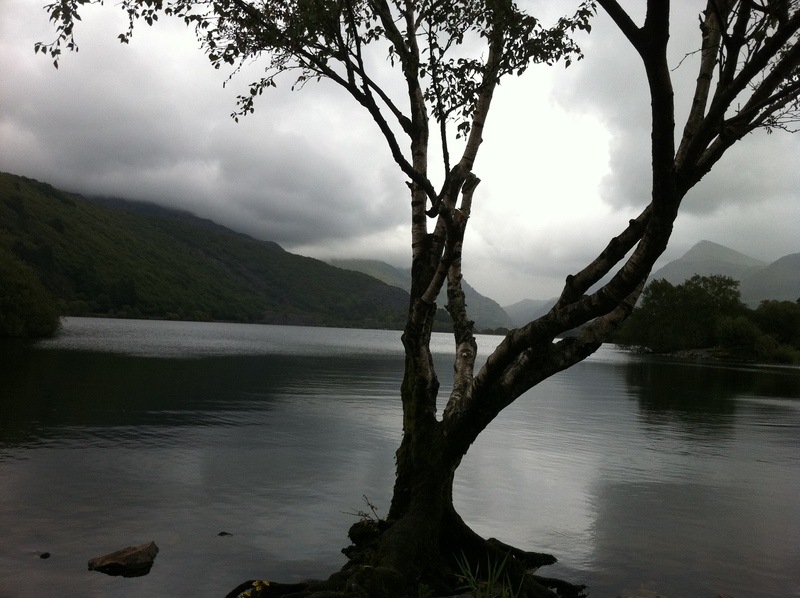 – MostlyAboutBeer……..
Llyn Padarn (Padarn Lake) with Llanberis on the far shore. This lake is a remnant of the last ice age. It hasn’t taken long for sours to take off in Britain. From the Benelux countries northwards, sour fruit has been at the coxycc of desserts and fermentable drinks. In Britain we’ve traditionally sugared it up into jams and chutneys. In Poland, what they can’t do with plums and cherries isn’t worth knowing. The further north you go, the more varied the yield; colder climates – especially with altitude – seem to favour the dispersal of small fruit and berries. Norway, for instance, is rich with cloudberries, lingonberries, bilberries and loganberries. My first taste of sour beer several years ago was a mild shock to the system but my palate instantly adapted and I’ve been wondering whether it’s been in there all along – a re-acquired taste. Looking back, it strikes me that the apples I always plumped for were the greenest – the ones that discharge electricity when you sink your teeth into them. Maybe I’ve had a predilection for sour because – in north west Europe – that’s the taste sensation I was actually brought up with. 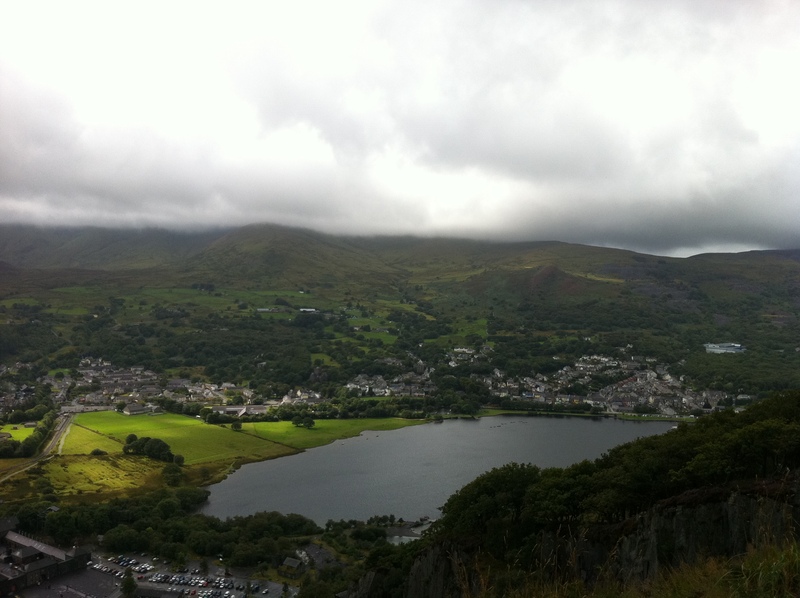 I grew up in north Wales in the mid 1980s under the auspices of Snowdon in the small town of Llanberis. The area is dominated by slate, mountains, mossy bogs, sundew (our native little venus flytraps), ferns, glacial lakes and the ruins of miners’ dwellings and their chapels. It was a gorgeous landscape in which to be raised. When I taste things, my mind can go a long way back and it often gets sent back here. 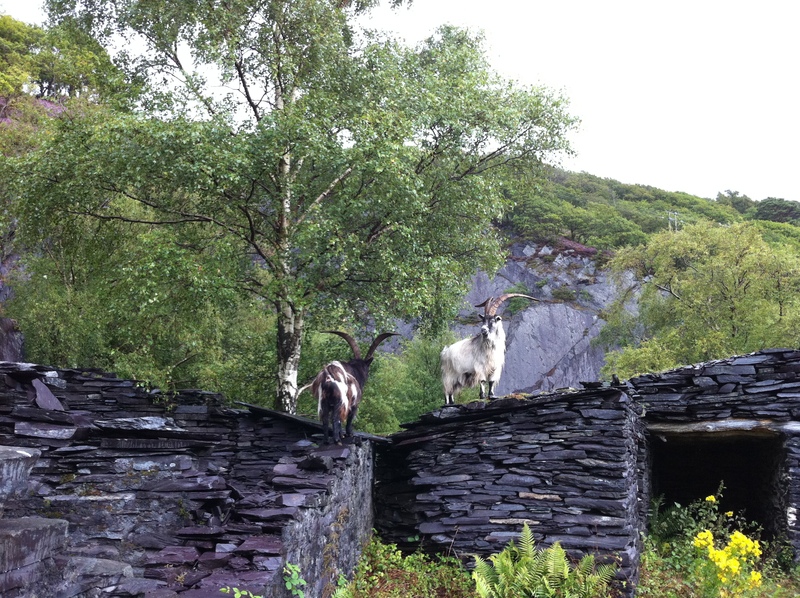 mountain goats on the ruins of miners’ huts. All buildings here are made from slate. The edge of one of the bonks blasted out by gun powder can be seen in the background. Being reductionist, I could split my childhood experience with fruit down into three categories: satsumas, tinned fruit and wild fruit. The first was widely available when I was growing up in North Wales and little has changed – they came in a little red net bag from the local Co-op. Satsumas were also what were given to us each Christmas at school once we’d sat on Santa Claus’ knee (a diminutive teacher called Mrs Owen wearing a beard). The tinned fruit was the “official” food. 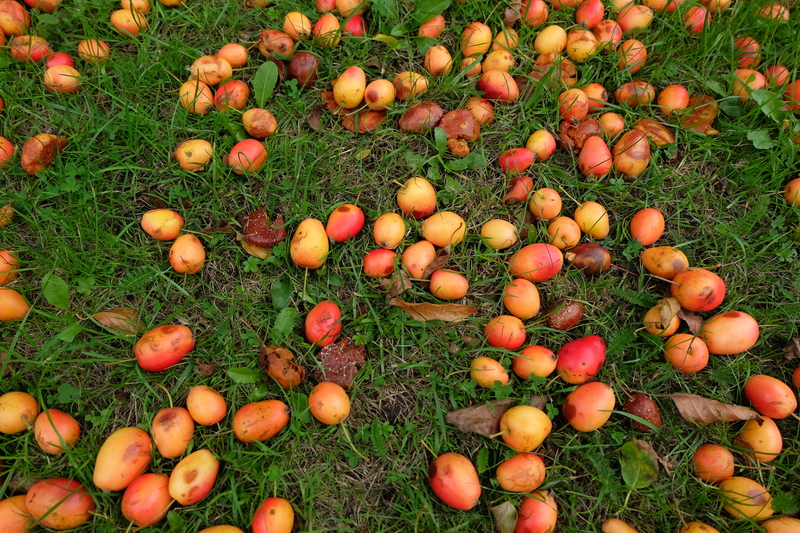 Peaches and apricots swimming in sugared juices were doled out from industrial sized cans in the school canteen. The third category is more clandestine: the fruit or berries we’d scavenge from the countryside. During the lighter months, upon leaving school, after flying around on a tree swing, scaling the rock screes or building dens in the undergrowth, we’d go off into a wooded area and sate our appetites in the bramble bushes. We’d always reach for the higher plunder and pick the fattest blackberries and dewberries. Each was scrutinised for mould, maggots or money spiders and then ingested. We sounded like pigs jostling for swill. Our sweaty little hands would turn pink and purple from the juices; it was like fruit henna. Fat berries contained the sweetness but lacked the cut through, the zing you get from the rosy sour ones lent a little frisson to the spine. There’s still some tartness when I buy blackberries from the supermarket now but they’re blousy and uniform in a bland way. I miss that little forager. His tastes were developed in the scrub. Sloping back roads had slate-encased drains on either side to channel the rainwater away and prevent the tarmac disappearing under floodwater during downpours. These smooth gulleys were fantastic when it was cold – the running water would freeze and we’d have a slalom. We’d adopt the pose of the Silver Surfer and plunge down scoring the lichen, moss and ivy stalks along the dry stone walls on the flight down. I recall the vapour billowing from my mouth in the dusk like the clouds trailing a steam train. Above, the sky evolved into a violet nebula pierced by powder scatters of stars. The ice channels glowed in the dark. the remaining turret of the Norman Castell Dolbadarn (Dolbadarn Castle) obscures Snowdon in the distant background. Back home, our back garden was on a split level. The bottom half housed the coal bunker and the top half had a small lawn. There was also an old fish tank up there with gooseberries growing inside. Translucent and veined like mutant grapes, gooseberries are a shortcut to my childhood. The panes of the tank were broken and I tested the sharpness by gently teasing an edge with my index finger. There was a squelch as my flesh got unzipped by a shard. An inward gasp and I wrenched it free. Blood welled up immediately and I plunged the digit into my mouth. There was that rich taste of copper coins and that meaty sweetness of cytoplasm you taste when you cut into a joint. I still think about it when I write tasting notes. 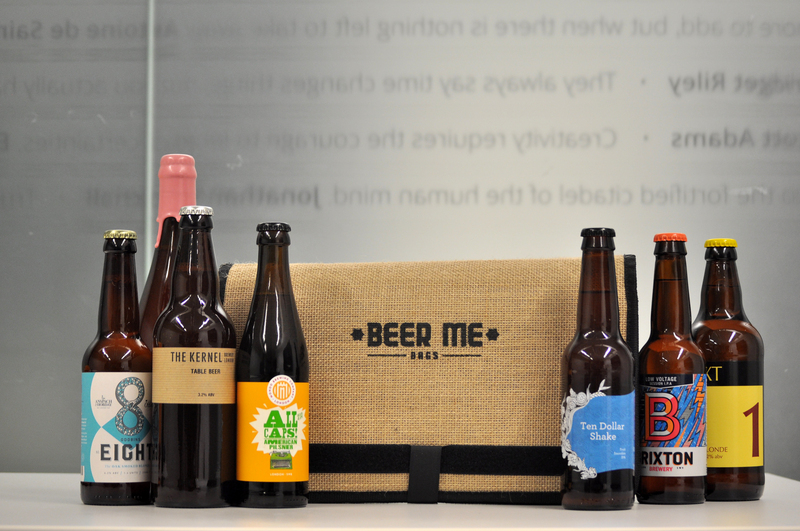 It can be found in beers as diverse as lagers and stouts as well as fruit sours. It’s not just the taste of fruit I remember. I used to spend a lot of time at the lagoons. Like everywhere around Llanberis, the ground is a jigsaw of slate which makes it an ideal arsenal for for skimming stones across the still waters. Alder and willow trees border the lagoons. In the low canopies, siskins flitter. On the water, the silent aerodynamic goosander goes about its hunt. Clouds of midges congregate, each seemingly trying to get sucked up your nostrils. It’s where I used to go to swim. For my ninth birthday I got a pair of flippers and I used them at the lagoon. They were obviously completely useless in such a small pool. I’d already been wearing them around the house – they made it very difficult to go up and down stairs but I insisted they would. I’d ease myself into the pool, edging carefully in as you could both slip on the subaqueous slate or get cut by it. The water was chilled. Submerging the core between the groin and the chest was the point of no return – if you could push that under, you could swim but often my breath would hitch in shock hiccups from the cold. My abdomen used to display the tube map of green and blue veins under my pallid skin. Goosebumps would render my body the coarseness of sandpaper. Below a certain depth, the slate became carpeted in green which was like walking on velvet. We were also aware of dangers in the waters of this post-industrial town: the water could hide the metal carcasses of ancient mining machinery. It could also harbour spools of rusting barbed wire. I know of one pupil at my school that got tetanus after such an encounter. I remember vividly the smell and even taste of the lagoon water. Submerged so just my nose and eyes were above the water, I got my own breath deflected back off the surface. It reminded me of salted vegetable soup. The salt was the mineral-rich lake, the vegetables the plants and algae. This recollection, believe it or not, comes back to me when I sample Goses. After trying underwater somersaults and seeing my swimming trunks inflate from the bubbles I churned up from the floor’s organic bed, I came up for air and surfaced to an audience: there was a small group of little boys in perfect little suits pointing at me. They stared at me in disbelief – I could only stare back at them. The adults appeared behind them and I witnessed my first ever Sikh family identified by the father wearing a turban. The mother gave me a smile like aunties do and I recall finding comfort in it. That was the stand off: the little boys in suits gawped and the creature in the lagoon leered back. All I needed was a large lily pad to squat on. The thing that bound us was our common fascination. I went on to show off by doing forward rolls and when my quivering pot-bellied form emerged dripping up the opposite bank, It was Schwarzenegger’s torso from Commando. I’ve taken you on a little detour here. What does this have to do with sour fruit? Let me take a few back steps. These lagoons were home to wild strawberries – small red bullets of sweetness in the undergrowth. The strawberries I buy from the supermarket suffer from gigantism and have no resemblance to their diminutive kith I knew from Llanberis. Wild strawberries are the size of a pea – concentrated sweetness unless they were still green in which case they tasted the same as their stalks and a bit like celery. There was a local government/council warning on sign posts about foxes and dogs urinating on or spraying strawberry plants which unfortunately always grow at ground level. We just never really paid much attention. 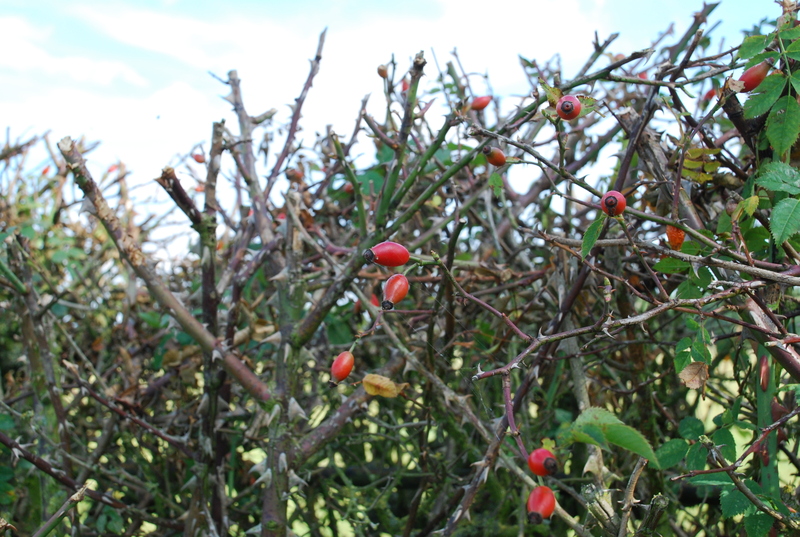 On the roads leading up the mountainside, rosehips or haws were everywhere along the fences. You can get rosehip tea and it’s been brewed with beer. However, we loved them because you could tear the flesh open and scrape out the fluffy seeds and dump down the back of the T shirt of the boy in front. As an itching powder, it’s unsurpassed and can actually leave welts. As a rite of passage, you’d learn to tell the difference between stinging nettles and dead nettles by the drooping flower heads. This enabled you to show off by pretending you were so hard you didn’t care about getting stung. It could backfire sometimes if someone else thrashed you with real nettles thinking you were impervious. The best was when an uninitiate plunged his hands into a crop of real nettles to join in. A boy screaming from the pain and realisation has its own special pitch. From the welts caused by rosehip seeds to the swelling and hives from stinging nettle acid, why are young boys such bastards? A vanilla pod nucleates anything you cook it with and dominates. It can be beyond sweet – sickly so. A Jamaican scotch bonnet sends the heat of spice soaring and can even be deadly for some people. 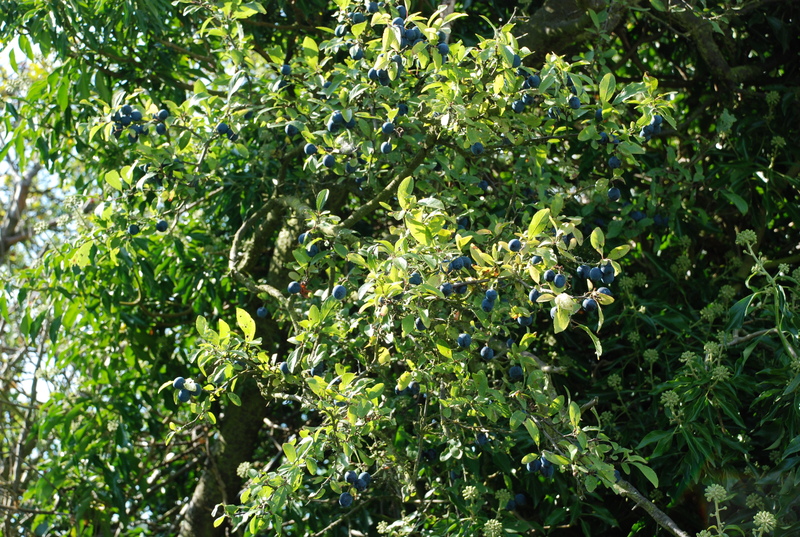 In a similar vein, sloe berries sit on the throne for sourness. They were abundant where I was brought up. Visually they’re dull blue/green and absorb light through a fine coating of powder. They’re the most sour, bitter thing you can put in your mouth. I can recall my first foray – you bite into the matt flesh and there’s a pause. Then you can’t feel your mouth. Then as your tongue panics and searches for moisture, it finds fur growing on your teeth and gums. Try it yourself. The effect lasts quite a while too. My cousins and I used to chomp on these! Is it any wonder I’m so comfortable with sour beers in my adulthood? Beers like these. Every beer has a backstory about how it came to be, but every drinker also has a backstory that can match it in taste. This was mine.